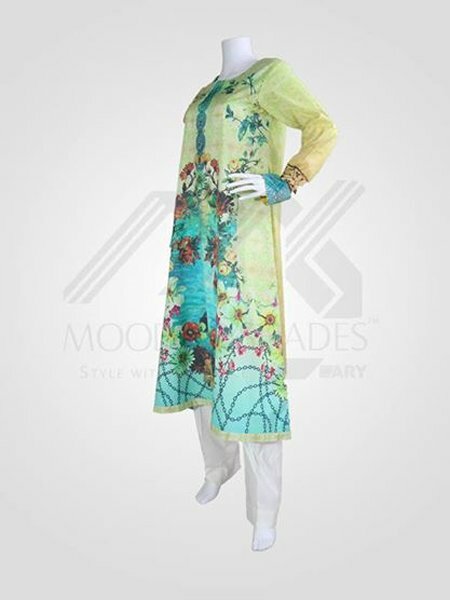 The latest and exclusive fall collection 2014 for women has been launched by Moods and Shades recently. 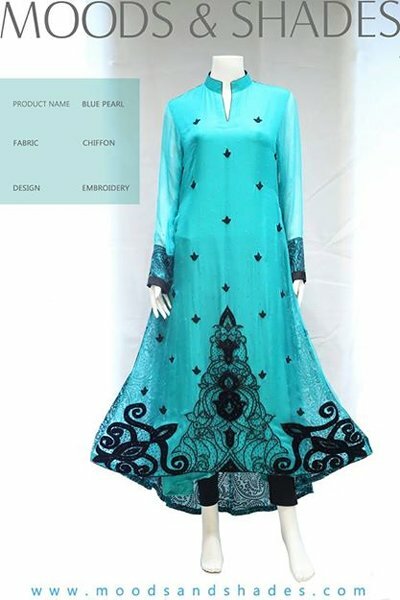 This special collection has been launched exclusively for autumn season. Stylish and elegant dresses for fall season are included in this collection. 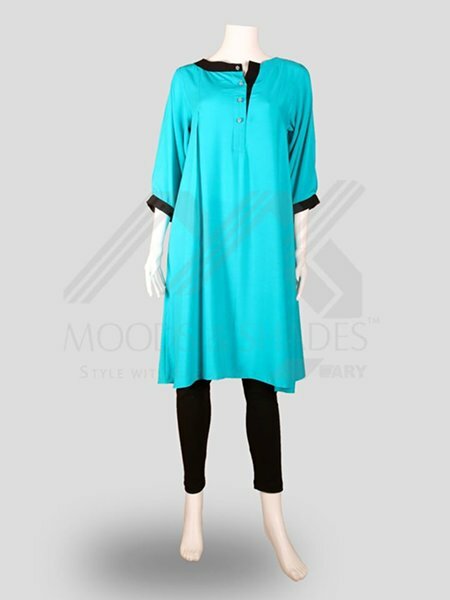 Trendy long shirts along with churidar pajamas and trousers are present in this fall collection 2014. Beautiful embroidery work is embellishing all these fall dresses. In all fall dresses, Moods and Shades used bright colors including red, blue, yellow, purple and others. 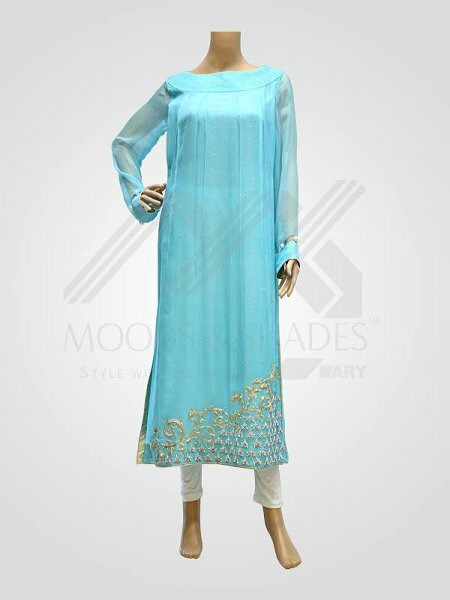 The dresses are looking much beautiful and elegant due to the use of beautiful embroidery. 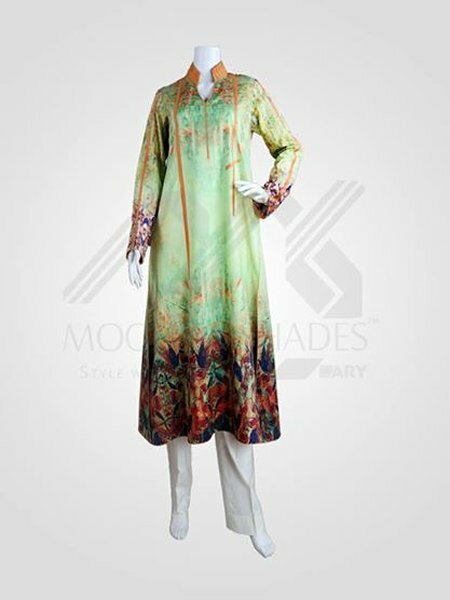 In ready-to-wear pattern, this fall collection 2014 is available. 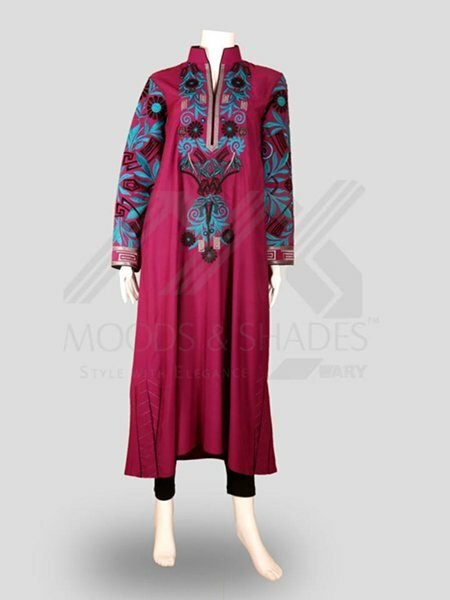 Given below are few pictures of Moods and Shades fall dresses 2014 for women. 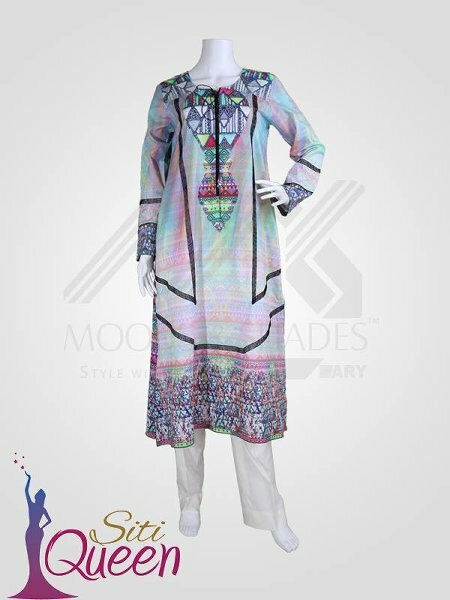 These dresses can be used as party wear by girls and modern women. 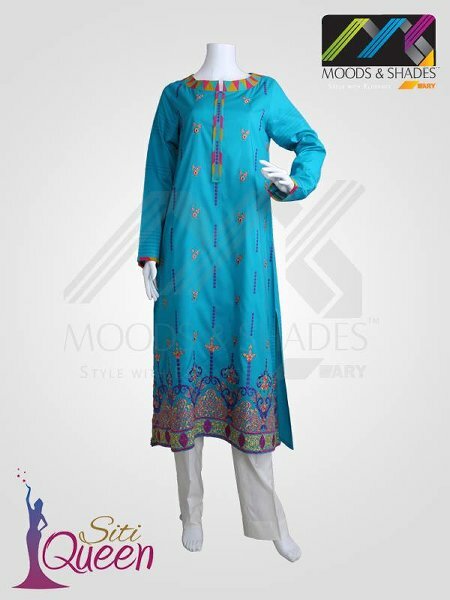 These fall dresses 2014 by Moods and Shades are elegant overall.